Martha Davis & Marty Jourard of The Motels. 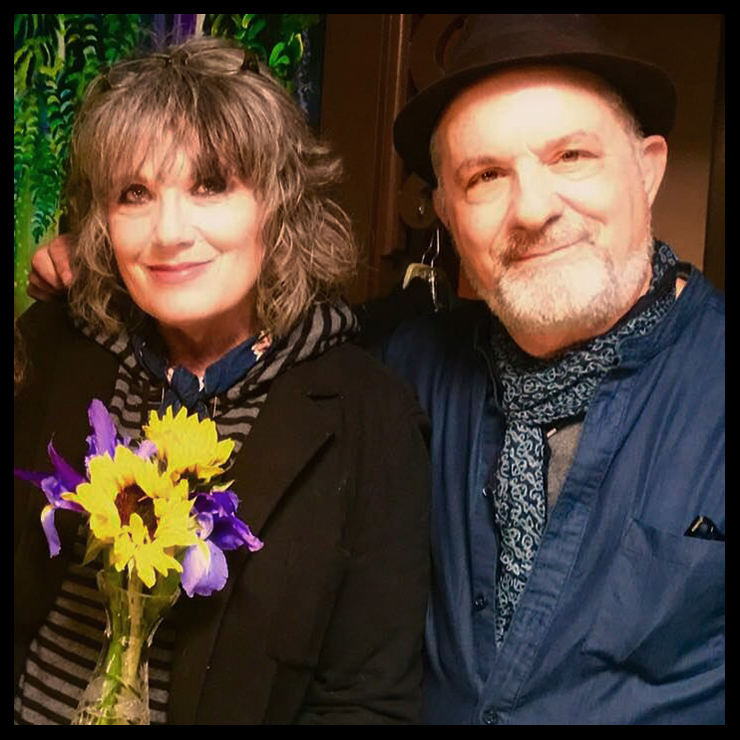 An intimate talk with Martha Davis and Marty Jourard of The Motels, who were in Los Angeles to launch their new album The Last Few Beautiful Days. It's the first new Motels album in a long time; their previous album, Apocalypto, although being released in 2011 was recorded back in 1981. Martha made several solo albums in that interim, including Policy (1987) and Beautiful Life (2008). Her passion for songwriting, she said, far superseded any desire to be a singer. "It was all about the songwriting," she said. "Still is." She spoke of her love of great melodies, inspired by Broadway musicals, and about writing the beautifully melodic title song of the new album, "The Last Few Beautiful Days," as well as Motels classics such as "Suddenly Last Summer" and "Only The Lonely." Marty Jourard, whose distinctive sax and keyboard riffs have distinguished their records since their self-titled debut in 1979, spent several years writing a book about the unique musical history of his hometown - Gainesville, Florida - also hometown for Tom Petty and The Heartbreakers, as well as Marty's brother Jeff Jourard, who played with The Heartbreakers and The Motels. Entitled Music Everywhere: The Rock and Roll Roots of a Southern Town, it's a compelling exploration of how one little town, not unlike Liverpool, could be the source of so much rock and roll greatness. Marty's a scholar as well as a gifted musician, and in our talk shares with us some of the history he discovered and preserved. The Motels started in Berkeley, California in 1971 with Martha and all other musicians. For awhile they were the Warfield Foxes. They came to L.A. in 1975, and first changed the name to Angels of Mercy before settling on The Motels. But it was not until 1978 that Martha teamed up with Jeff Jourard and also invited Jeff's brother Marty into the fold. They played around town, shared rehearsal space with the Go-Gos, and eventually signed with Capitol. Jeff left the band but Marty stayed. Several hit records ensued, including All Four One in 1982, which featured "Only The Lonely." Apocalypso, which they made in 1980, was rejected by the label for being "too weird," which derailed the band somewhat. It was ultimately released in 2012. We met in the west Los Angeles home of Marty's brother Jeff Jourard. The following day The Motels met a mass crowd of their fans at Amoeba in Hollywood, where they performed, before moving onto Amoeba in San Francisco, and points beyond. They'll be touring all over America this summer. 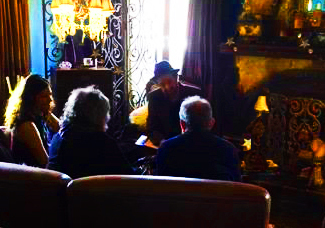 Louise & Paul interviewing Martha & Marty.